A compact Inline / Semi Offset Topper from Beaco Products. 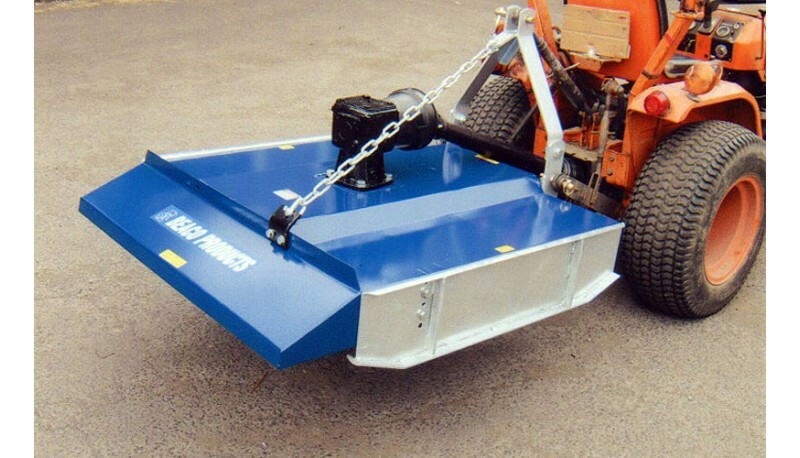 This Topper has a 1 mtr cutting width, 30HP heavy duty gearbox (direct drive), galvanised skids, and headstock and chain support. It features an adjustable cutting height with Cat. 1 Linkage, robustly reinforced, deck body. Removeable A' Frame for inline or offset application with convex skids, and a heavy duty rotor and blades. This Topper is low maintenance and is Shear Bolt Protected PTO. Excellent for stimulating grass growth.